Earn $38.12 in VIP credit (3812 points)What's This? 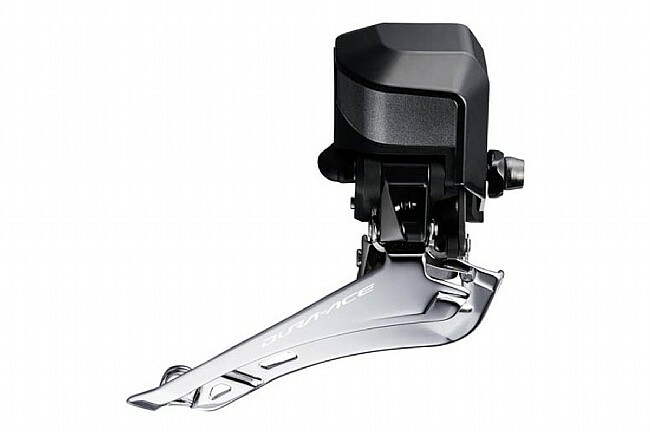 The Shimano Dura Ace Di2 FD-9150 Front Derailleur is ready to work with 9100 series cranksets which feature a more inboard position for the small chainring than previous models. Its electric operation means quick, smooth gear changes even under hard pedalling, and compatibility with Shimano Synchro Shift allows both front and rear derailleurs to be controlled with a single shifter.